Joseph Meredith was living at Brampton Bryan at the time of his marriage in 1841 and was described as a farmer, and son of David Meredith. Joseph and Mary were enumerated in the 1841 census at Pedwardine. Joseph was recorded in the 1851 census at Lower Pedwardine and described as a farmer of 217 acres, aged 45. He was enumerated with his wife Mary (aged 32), sons John (aged 4), Joseph (2) and James (1), together with a nurse, Mary Preece, and 7 servants. The will of Joseph Meredith of Pedwardine in Brampton Bryan was dated 27 June 1853, and probate was granted on 6 April 1854. The executors were John Dunne Cooke, Peter Stephens, and Joseph Meredith, grocer.1,3 They were married on the same day and at the same church as Joseph’s sister Catherine Meredith. Catherine Meredith was living at Cross Street, Abergavenny at the time of her marriage in 1841.1 Catherine Meredith was married on the same day and at the same church as her brother Joseph. Sarah MEREDITH was born about 1808. There is a problem with either the christening or burial date. John was President of the Birmingham Law Society 1825-32, Chairman of the Leamington Board of Commissioners, and one of the Executors of Sir Thomas Lawrence. [S22] Will of John Meredith, Gentleman of Leamington Priors , Warwickshire 09 July 1850 PROB 11-2116 Image 301-270. Henry was a Gun manufacturer. His Will was dated 13 Jan 1841 and proved 24 Aug 1841. His Executor was his cousin William Rogers Cope. George entered the Navy in 1794. He was a Lieutenant in the Marines and served in America, the West Indies and Egypt. It was reported that at Alexandria, in 1803, he scaled the 180-foot high Pompey's Pillar, to remove the French cap-of-liberty placed there by Napoleon's forces and replace it with the Union Jack. Subsequently, the cap was suspended from the ceiling of the grand hall of the British Museum. [S133] - marriage announcement: “At Abingdon, Lieut. G. Meredith, of the Royal Marines, to Miss Hicks, of Enborne, Berks.”, Jackson's Oxford Journal (Oxford, England), Saturday, October 12, 1805; Issue 2737. [S143] Certified copy of a conveyance D/EX 1041/1 1809 UK National Archives. Entry in online catalogue http://www.nationalarchives.gov.uk/A2A/ accessed Nov 2008. Sally MEREDITH was born about February 1774. She died on 6 June 1774. Mary was the daughter of Rev. Thomas Greaves and his wife Francis nee Liptrott. She was living at Arno Villa, Leamington Priors in the year of her death. Henry Griffin was Rector of Preston, Suffolk and Professor of Arabic at Cambridge University. 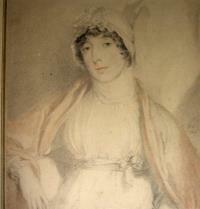 Lucy was the sister of the portrait painter Sir Thomas Lawrence, President of the Royal Academy of Arts. 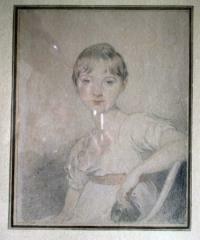 Jane was the eldest daughter. John Aston carried on the family Button Manufacturing business, after his father’s death, first in partnership with his brothers William and Thomas until 1823, then with Thomas until 1833, and thereafter on his own account. A Birmingham directory of 1839 lists two businesses at 41 St. Paul’s Square: John Aston, florentine and silk button manufacture and John Aston & Co, gilt and plated button makers. In 1841 he patented and manufactured the invention of Humphrey Jeffries of a three-fold linen button, which became hugely successful. By 1871 he was employing 340 women, 11 men and 5 clerks, according to the census of that year. A directory of 1878 describes the company as “manufacturers of plain & fancy silk buttons, fancy linen buttons, florentine buttons, the original patent linen buttons & the patent triplicate linen buttons”, located at the Eagle Button Works, Summer Hill. He retired as a partner of John Aston & Co in December 1879, and the business was carried forward by his sons Thomas Lawrence Aston and George Lyttleton Aston, together with William White. His private address from 1861 until his death was in Augustus Road, Edgbaston. His step mother Jane Meredith was enumerated as a visitor in the household in the 1861 census. John Meredith Lawrence Aston was Vicar of King’s Norton, Worcestershire. Thomas Lawrence ASTON was born on 15 June 1829. He married Hannah Maria BUSHNELL in June 1862 in Sandhurst, Kent.2 Thomas Lawrence ASTON died on 1 September 1892, at age 63, in Sandown, Isle Of Wight, “On the 1st inst., Thomas Lawrence Aston, of Sandown, Isle of Wight, second son of the late John Aston, Esq., of Edgbaston and Rowington, Warwickshire.”. Thomas Lawrence Aston was a button manufacturer as a partner in the firm John Aston & Co.
George Lyttleton ASTON was born about 1839. 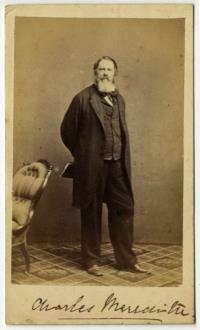 He married Sarah CHIPPINDALE on 2 August 1864 in Birmingham, St. Philip’s, “Aug. 2nd, at St. Philip's church, Birmingham, by the Rev. John M.L. Aston, incumbant at King's Norton, the brother of the bridegroom, George Lyttelton Aston, fourth son of John Aston, Esq., of Westfield, Edgbaston, to Sarah, younger daughter of William Chippindale, Esq., agent of the Bank of England Branch, Birmingham. (No cards. )”.2 George Lyttleton ASTON died in 1902 in Cheltenham Registration District registered Q1, aged 63. George Lyttleton. was a button manufacturer as a partner in the firm John Aston & Co.
Annie Sabina ASTON was born about 1842. 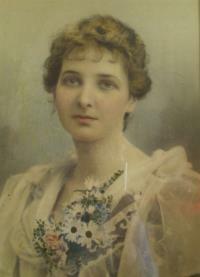 She married Vincent Cotterill SCHOLEFIELD, son of Joshua SCHOLEFIELD and Susan CORBETT, on 10 October 1866 in Edgbaston Church, Warwickshire.2 Annie Sabina ASTON died on 9 July 1921.3 She was buried in Ryde Cemetery, Isle of Wight. Rev. Edward Albert Henry ASTON was born on 14 November 1843.2 He married Christiana RICE, daughter of David RICE and Mary Ward HOBBES, on 13 August 1873 in Stratford-on-Avon.2 Rev. Edward Albert Henry ASTON died in 1923, at age ~80, in Melksham Registration District registered Q4. Rev. Edward Albert Henry Aston was Vicar of Fyfield, Berkshire in 1879 and Rector of Codford St. Mary in 1892. She was living at Hagley Road, Edgbaston in the year of her death. 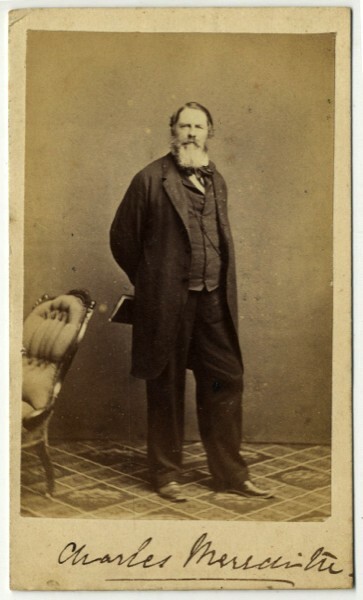 Henry MEREDITH was born about 1813 in Birmingham, England. He married Julia SHEPPARD on 5 July 1838 in Birmingham, St. Martin’s.1 Henry MEREDITH died about 1878.2 He was buried on 15 August 1878 in St. Paul’s, Birmingham, Warwickshire. Henry was a gun manufacturer in partnership with his father, as Henry Meredith & Son before 1841. In the 1851 census Henry was a Coal dealer at 5 Hagley Terrace, Edgbaston, in the household of his mother Ann Meredith. She is possibly the Fanny Meredith who m. Heygate Henry Phillips in Q2 1870 Kings Norton District. They are in the England 1871 census in Reading. He is a General Practitioner from Dublin University, Ireland, and she is aged 27 b. Birmingham. [S653] Marriage announcement: Phillips - Meredith, The Times, Saturday, May 07, 1870; pg. 1; Issue 26744; col A .
Louisa Anne Meredith was an accomplished writer, artist, botanist and naturalist. As an early settler, she was one of the first women to write a description of life in Tasmania. 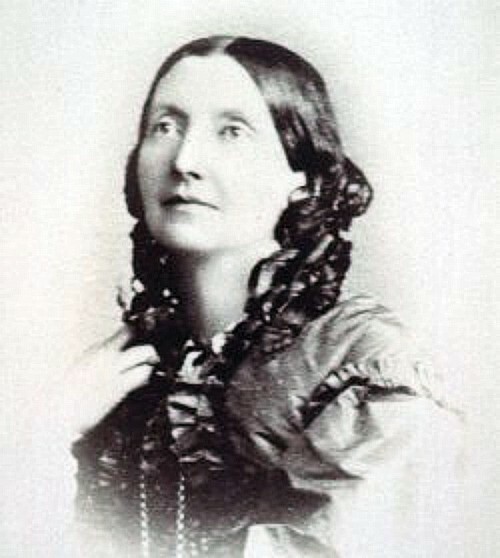 Sarah Westall Hicks was the daughter of Thomas Hicks. The Australian Dictionary of Biography mistakenly refers to her as the daughter of H. W. Hicks but a Henry Wilkins Hicks was in fact the brother of Thomas Hicks, as is clear from his Will. [S136] Will of Henry Wilkins Hicks, Major in the Service of the Honorable East India Company 14 August 1812 PROB 11-1536 Image 188-208 (UK National Archives) - copy in the possession of the author. [S133] Jackson's Oxford Journal (Oxford, England), Saturday, October 12, 1805; Issue 2737. Charles Henry MEREDITH was born on 1 November 1841. He died on 2 March 1842, at age 0. Elizabeth was the daghter of John Jillett (1819-1868) of Hobart and Phoebe Triffitt (1823-1868). George Glendower MEREDITH was born in 1868. He married Nora Gytha MICHELMORE in 1937. George Glendower MEREDITH died in 1957, at age ~89. Twamley Owen MEREDITH was born in 1871. He married Jessica FARQUHAR in 1896.